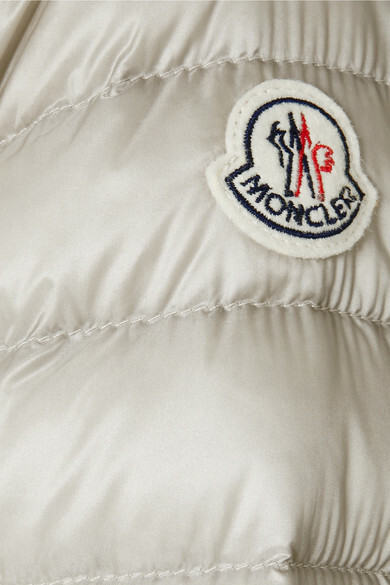 Anyone who's worn one of Moncler's quilted down jackets will tell you how lightweight and cozy they are. 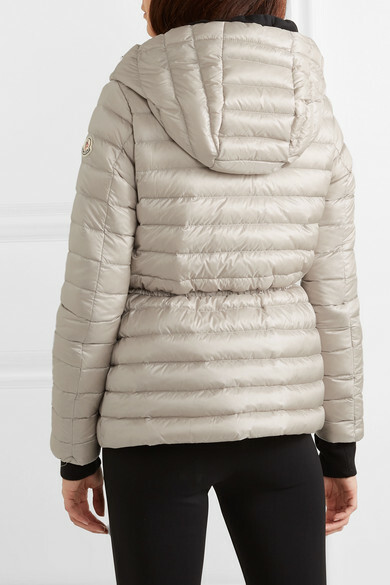 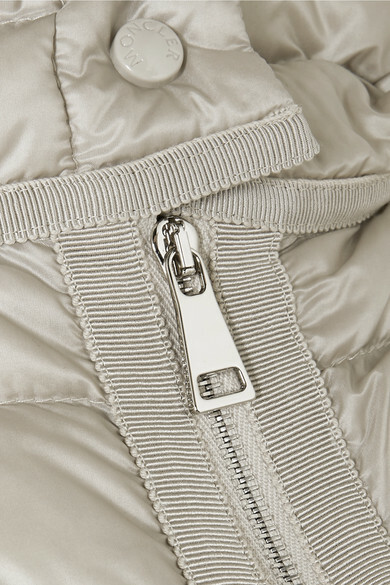 In this season's favorite hue, this beige hooded style is made from shell with matching grosgrain ribbons. 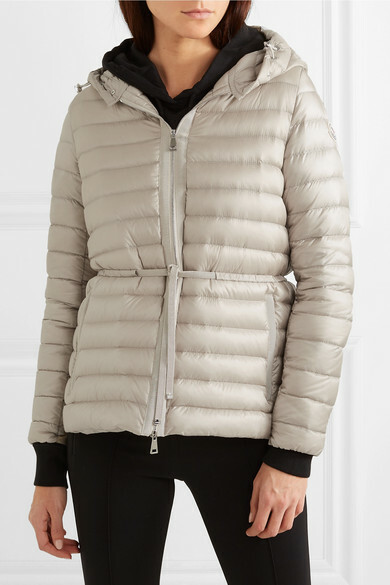 Wear it on the slopes as well as in the city. 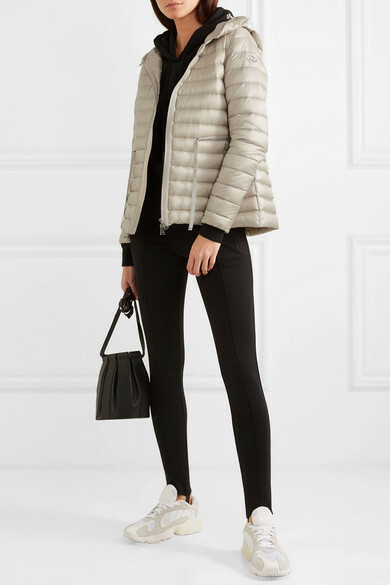 Shown here with: Balenciaga Leggings, Off-White Hoodie, LOW CLASSIC Bucket bag, adidas Originals Sneakers.